This entry was posted in Shiseido and tagged Beauty, cream, dark circles, eyes, shiseido, Whitening. Like you, I make sure that the product is really highly raved by ladies and get as much info as possible through researching. Just like what you are doing now – reading reviews. But I do understand what may work for others may/may not work for me. So I’d always take opinions with a pinch of salt, which you should too, especially since each individual has different type of skincare problems as well as the type of skin. FYI, I have the combination type of skin (oily T-zone) – which is rather common in our climate conditions. Here are the pictures of the pictures of the Maybelline compact powders just in case you’re wondering how they look like. As I have combination skin (oily T-zone), this powder although doesn’t really help much in combating the oiliness, I still like how each application is so smooth. I don’t use the brush that comes along because I prefer using sponges. I think it’s easier to control. Speaking of which, I’m not a fan of liquid foundation as well. The one and only I have tried in my entire lifetime is the Revlon liquid foundation which I decided not to venture into them anymore because of the mess and hassle they create. It gets stuck inside your nails although I agree that using your fingers allow greater control and easier application than sponges/brushes, that’s for sure. Liquid foundation looks extremely thick on my face as well. Honestly, I don’t require one that provides excessive or thick coverage because I have naturally good skin. I don’t have acne problems and the only time I have pimples is when it’s nearing “that time of the month” but recently these few months, I realised that I don’t even have this problem now! The worst pimples problem was during my O Levels which is like eons ago (I am reminded how much I’ve aged ):) Other than that, I don’t recall any other unfortunate incidents. Besides not being able to solve my T-zone problem, another dissatisfaction is that the powder “runs loose” and gets all over the mirror, causing it to be dirty and blur. Time to time, I have to wipe off the remnants of the powder bits off the mirror to be able to view clearly. Quite a hassle actually. I think those whose faces are packed with layers and layers of powders is seriously a big booboo! Don’t suffocate your skin so much alright? Plus, cleaning them off thoroughly would be a hassle. You don’t have to apply layers to cover up problematic areas, just get a good concealer to do the trick! 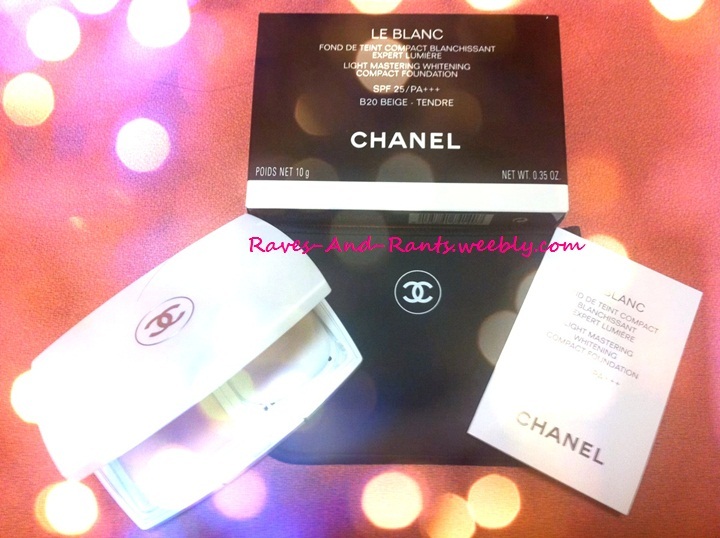 This entry was posted in Chanel, Foundation Powder, Whitening and tagged Beauty, chanel, compact powder, Foundation Powder, maybelline, Whitening. I try not to drink it daily and spread out the frequency of consumption because it’s too expensive… 1 bottle costs around $7? So yes, I believe I am in a better position to judge on the effects of this whitening drink now that I have some slight tan lines on my back due to my recent cycling session. It’s been weeks and the tan lines are still there! Although I believe the tan lines caused by my shorts have gradually lightened on my thighs, as well as my slipper strap markings. 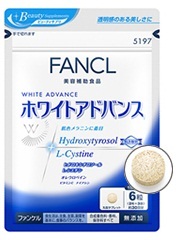 This entry was posted in Fancl, Whitening and tagged Beauty, Whitening. 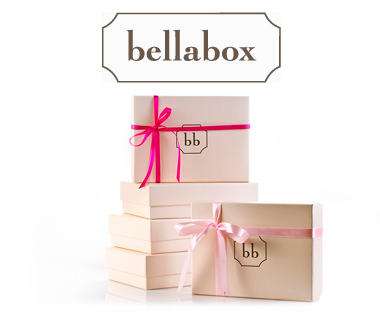 Purchased my first Bellabox! It’s going for $19.90 per box/mth now.For those who have no idea on this, Bellabox mails out beauty products in a box every month to your doorstep, with a monthly subscription of $19.90. You may wish to opt for 3-month subscriptions and so on. However, I’m quite doubtful because so far, I’ve seen only 1 box that has 1 different item compared to mine as well as many other bloggers. Google and you will know. Sorry for the blurred picture. Love the bright fuchsia tracing paper and BB’s own sticker! The BEST loots of them all thus far 🙂 Feel that only these are worth the $19.90. Doubt I will be using this BB Cream. I don’t use BB cream anyway. There is actually some twistband for hair tie which I’d thought it was rather useless? As well as BB’s own lipstick shape pen… -.-I’ve read and googled on the other monthly Bellaboxes and am so upset that my first subscription is a huge disappointment. And I do mean HUGE!!! So many useless stuffs with those brochures etc. UGH. There were other loots in other months such as Essential conditioner and hair shampoo, Biotherm lotions, Sally Hansen nail care products, OPI products, Elizabeth Arden, Ralph Lauren perfume (!!! 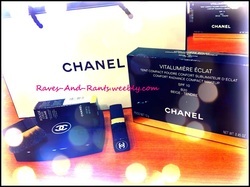 ), Lancome, Kiehls… Well you get the drift. It simply just means that the July one sucked and of course, I’m not the only one saying this. There were many other reviews that reflected subscribers’ disappointment. 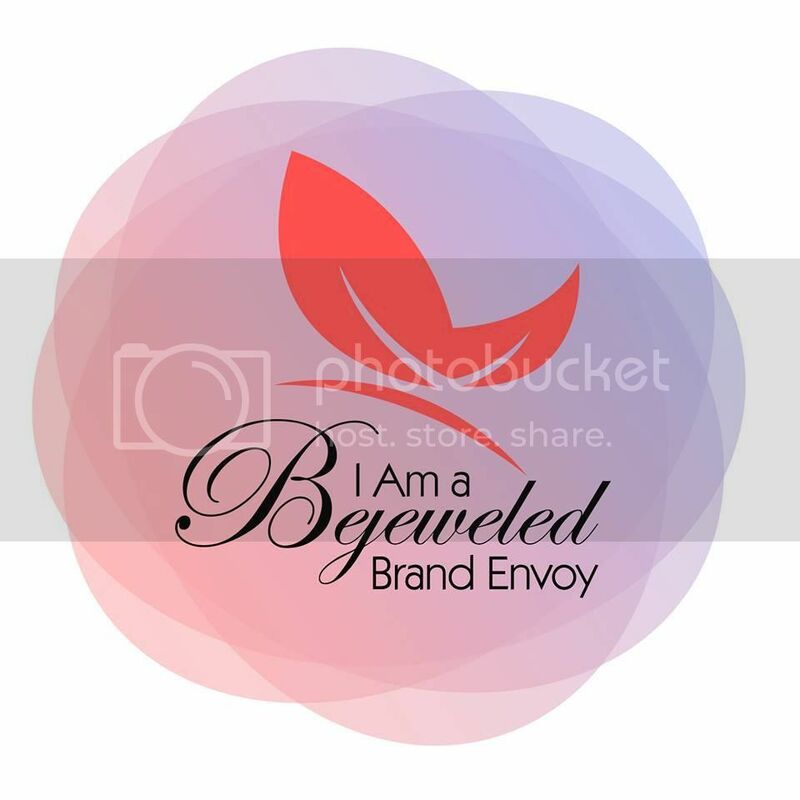 This entry was posted in Bellabox and tagged Beauty, Bellabox. Managed to get hold of my very first Groupon item at the Groupon shop at Suntec!Have not had the chance to use it yet, but will do it soon :)So stay tuned…! Pictures of the nail dryer below! Lighting: 4pcs x 9w UV bulbs. Product measures at 220 x 258 x 120mm. This entry was posted in Nails and tagged Groupon, Nail dryer, Nails. I know that this Hello Kitty flavour range is not the latest updates by MBD, but will review them anyways :)Exfoliation is always a must when it comes to masking because it open up your pores which allow the essence of goodness to seep into! After exfoliation, pat your face dry, apply toner on your skin for better absorption of the essence! This time, I used the SK II facial lotion (toner) which was given as a trial set by Bellabox ! After applying the toner, I then proceed to mask. MBD Hello Kitty Honey Strawberry Flavour! MBD Hello Kitty Strawberry Milk Flavour! The essence keeps dripping to my neck although I was already lying down. I used to mask while sitting up but it’s bad for your skin because it tends to cause sagging.Held it on for approx 20 to 30mins and my face was really brighten instantly! I could see the difference! It had actually the same effect as the Black Pearl flavour from MBD. I then massage the remaining essence into my face and neck, so don’t throw away the package after you have taken out the mask! After massaging, I then applied SK II facial essence (I know very kiasu right) and the SK II Cellumination Deep Surge EX from Bellabox. 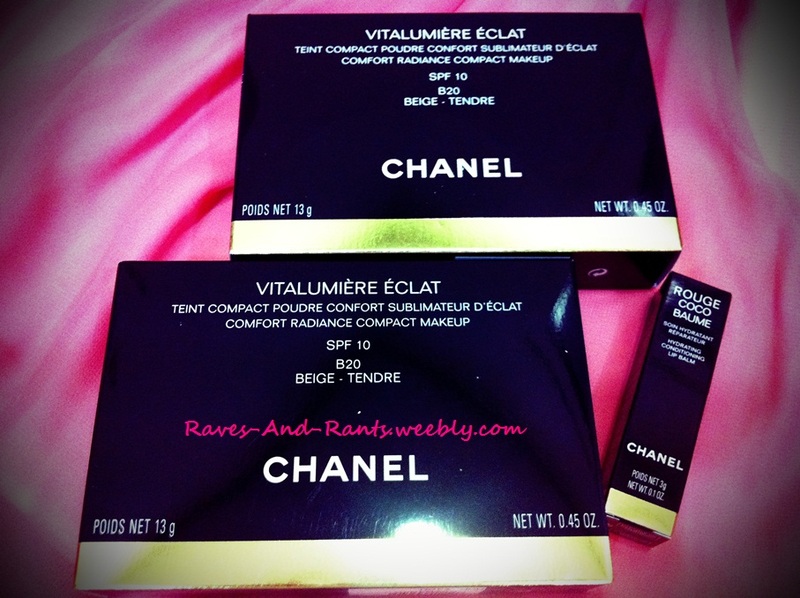 This entry was posted in Masks and tagged Beauty, Hello Kitty, Masks, My Beauty Diary. As mentioned in my previous post, I’d decided to remove them and I did. I’d told the girl that I wanted to remove them because it was very uncomfortable and hurting. Uncomfortable not because of the weight of the lashes since I am already so used to falsies, but it’s the way they had glued the lashes together and which hurt my skin. At the start of the removal, the beautician asked if I would like her to fix the discomfort rather than remove the extensions and I’d thought she was kinda nice, but I’d declined because I was adamant to get those annoying stuffs outta my eyelids! She then proceeded to first apply some liquid to dissolve the glue (which was quite hard as alot of glue was used) and she had to take some time to remove the glue because the extensions were just done the day before. It took really longggg time to remove the glue and to pluck out the extensions 1 by 1. I tried plucking them out on my own on the night I had my extensions done because as mentioned, there was 1 area which hurt like hell and was unbearable, so I was trying to fix it on my own, hoping to feel better. But no, it was still hurting and I had to bear with it till the next day till the removal. I looked like I’d just cried and brawled my eyes out. The only thing that I’m satisfied is that my natural lashes didn’t drop much, about 2 to 3? There were still some remnants of glue stuck to my eyelashes because they were difficult to remove. She told me that they would fall off on its own after awhile and I couldn’t care less because I’d just wanted to get out of there and prevent any further torture to my eyes. I could slowly pluck out those remnants, anyway. This incident made me decided that I won’t go for any eyelash extensions too anymore either. 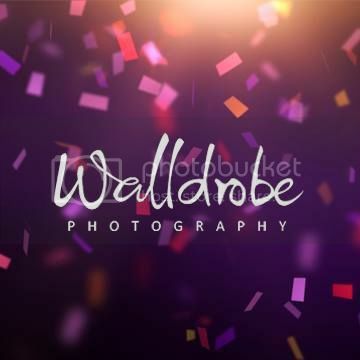 This entry was posted in Eyelash Extensions and tagged Beauty, Eyelash Extensions, Millys. I have been planning to extend my non-existent eyelashes for a damn long time! I’m glad I made my decision and did it BUT IT’S GONNA BE THE LAST TIME FOR ME!It’s DEFINITELY gonna be falsies over extensions from now on!Here’s why. I chose to do it at Milly’s because I had previously done my hair extensions with them years ago and was satisfied with their service and product quality. Of course, I’d chosen the better quality hair extensions, despite the dryness, friziness and split ends… But overall, I guess it was alright. There were 2 ladies who were in-charge of the eyelash extensions and bf said that both of them are from Vietnam. They were speaking in a foreign lang (which I reckon must be Vietnamese?) and although my spoken mandarin is kinda half past 6 (since it’s just gonna be just elementary standard), I still had a difficult time communicating with them!!! OH GOD. In my opinion, if FT’s are gonna be employed and in such service industry where the English standards are not gonna be that commendable, at least, get those who understand simple Mandarin, no? So we discussed on which model/style I preferred and of course, I had a difficult time communicating with my beautician (Ai ling – AL) and also the other lady who was occupied in her own session with another customer (who is a regular/returning customer and I know because of their conversations). If you would take look at Milly’s website, you would see stuffs like ‘Dolly lashes’, ‘Korean lashes’ and the unlimited promo, but no. I was told that they do not have any catalogues or pictures (as what they said) and when I had mentioned to them ‘Dolly and natural lashes’, they looked stunned and didn’t understand what the hell I was referring to. I requested for the catalogues so that I could have a clearer picture of the outcome as well as to show my bf which is more appealing. Well, another disappointment. Although high raved by many, personally I think Milly’s should take note of such details. It may be minute details but in the shoes of the customers, it matters. It’s just like how hair salons have those catalogues as well, or at least mags or whatever. I told the beautician that I preferred natural looking ones because it’s gonna be inappropriate for work if I were to wear such dramatic dolly ones. Of course, our conversations weren’t as smooth as me typing these all. It was a 1 chicken 1 duck conversation. She started to stick on the eyelash extensions and the glue she had used caused extreme itchiness! I’m not sure if I was allergy to it because it was really really itchy and you just had to tolerate with it. It went to the extent of my goosebumps popping out and I was kinda fidgety because I.was.dying.of.the.itchiness. I’d asked if it’s due to any allergy or perhaps I might be sensitive to the glue used, but after figuring out what I was trying to say, AL told me that because it’s my first experience, hence I’m just not used to it. I was told the same old story again and again as well as by the other beautician. It was also stinging and I just could not rub my eyes…!!! When it was all done, suddenly, I was taken aback by this strong wind which I so shock that I actually opened my eyes a little but could not fully due to the glue. I wasn’t informed of the procedures and I had difficulties in breathing when the strong wind first came. I felt that she should at least inform me of what she was doing or gonna do beforehand? Like what Bare Aesthetics did which I praise them for because they understand the insecurity when one has their eyes blindfolded. I laid there for around 10 to 15 mins on my own and I had to ask the other beauticians whom I guess were in charge of other services who had then called out for the other beautician (not AL). She asked if it felt alright and I told that I still experience some pain on certain parts of the eyelids. She helped me to remove some glue (I’m not sure?) and it did not really feel any better. But the only thing was that, the double eyelids weren’t parallel. (Sorry, didn’t manage to snap pictures of both eyes for comparison and for the pinkish colour due to my hp casing) The side which is more painful had the double eyelids I wanted but not for my left eyelid, which usually gave me no problems with falsies compared to the right one.The eyelash extensions were too long for the inner part the eye and made it look fake. Really disappointing. Throughout the session, I was tearing like mad because of the pain due to the glue and I guess perhaps due to contacts. I suggest that if you girls go for eyelash extensions, try not to wear contacts. Half of the time, I was also worried that my lenses would get stuck at the top of my eyelids and won’t come down because my eyes were closed for too long. But I’d read other blogs that mentioned that wearing contacts help to save time drying the glue. And don’t forget how uncomfortable it is to have strong wind blowing at your eyes with your contacts on. :(Asked bf for opinions and he said actually there’s not much diff compared to falsies, only that it’s shorter. I think this is by far the picture LOL. So I’ll have to walk with my eyes closed and can only snap photos from the top? Zzz. I’ve some discolouration on the areas near my inner eyes.. oh god. Pictures really do speak volume. And I look hideous with single eyelids and having long lashes. Sorry, that just doesn’t work for me. Double eyelids are a must if you want big alluring eyes. Double eyelids help to “open” up your eyes and makes you look more alert with brighter eyes! And I’m having problems wearing specs! I know this sounds dumb because you’re not supposed to wear specs if you’re having your extensions on right? But can’t do. Eyes are tired and contacts dry out real fast under air-con room, so I only wear them on TGIFs! 😀 Either that, will just bring along to change at the end of the day if I’m heading out.The eyelashes on my left get stuck to the specs lens whilst the right one doesn’t. What does this show? That the length of both sides are unequal! My specs are relatively new and so it’s not loose. But because of 1 side of the lashes are giving me problems and hurts because when stuck, the lashes get pushed back INTO MY EYE (ohgoddamit), I have to wear my specs a little lower and I feel damn silly. Look like some tikopek, ya? And I’m having problems wearing specs! I know this sounds dumb because you’re not supposed to wear specs if you’re having your extensions on right? But can’t do. Eyes are tired and contacts dry out real fast under air-con room, so I only wear them on TGIFs! 😀 Either that, will just bring along to change at the end of the day if I’m heading out.So, I’ve decided… I’m going to have them removed this evening after work.. which is the reason why I might not be able to redeem my nail dryer although Bugis and Suntect are within close proximity. But if I were to head down to collect the nail dryer first, might not have enough time to rush to Bugis because of the massive crowds?Anyways, just rang up Milly’s and they said I’ll have to reach by 8.30pm if I wanna get the extensions removed. Gonna get both things done (redemption of nail dryer + removal of eyelash extensions) today. I don’t wanna run around like some crazy people, wasting my time, effort and transport $. I’ve already wasted $55 on this stupid eyelash extensions…!!! 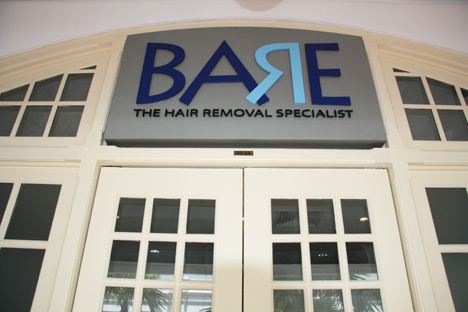 As previously mentioned in my first entry, I’d bought a Groupon voucher for Intense Pulsed Light (IPL) treatment for underarm hair removal, sponsored by this Beauty Salon known as Bare Aesthetics (BA). Unlimited sessions for $88. :)Before buying, I did my homework, trying to search for reviews on BA but as mentioned, couldn’t get any except for one girl who blogged on behalf of her bf’s experience with them. However, in the process, I did find out about other beauty salons that provided such services, and actually, there are plenty of them! 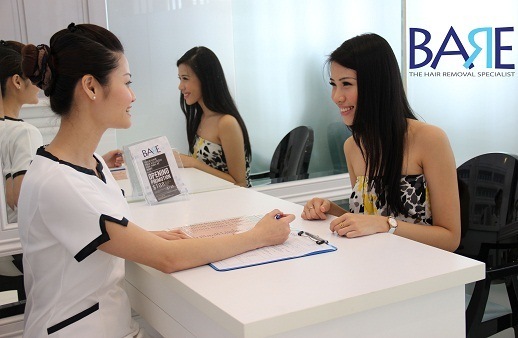 I think it’s kind of an ‘in’ thing now… More and more ladies (and men) are seeking painless, hassle-free and fast experience on hair removal that only technology can fulfill.Some of the results that popped up, such as Musee Platinum Tokyo and Bella Skin (Fann Wong as the spokesperson) appeared, with reviews. I have to first clarify that as I have not personally experienced their services and hence, am in no position to comment on their service quality, but if you’d googled it yourself, Musee has several negative feedback (except for the one by a blogger Silver Ang who replied to her readers that she had no idea of such poor service quality as she was treated with awesome service standards by them and suggested that perhaps it was because she had to write up a sponsored review on them… Hence, the “better treatment”.) I must first applaud Silver for her honesty, because most reviews by famous bloggers are somewhat not accurate. They may have to well, tell a lie or the experience they had were offered on a biased note. And for Bella Skin, it was extremely pricey though I do know most permanent hair removal treatments are expensive (ranging from $1.5k to $2k+). I know I’m gonna sound a little silly here, but my impression on BA was form based on their location at Raffles Hotel (Somewhat highclass right? Since there’s shops for branded and designer stuffs) and the only worrying issue was whether they would try to psycho me to purchase their products/packages, i.e. hard selling.Ask anyone on the streets and they would most probably tell you that hard selling doesn’t work for them. It’s annoying and potential customers are sometimes put off with such desperate acts.Reading from the one and only blog on BA reviews (but for men’s hair removal) mentioned above, I was really delighted to know that there were no hard selling involved! More importantly, no gimmicks too, for example, in order to be entitled to the treatment, you would need to top up additional $$ to purchase particular products or you are given the lousiest package of all which you would be left with no choice but to sign on for the best package for the most effective results. I was treated reasonably, though I felt that the specialist who served me was a little hostile. Maybe it’s her face, maybe our 8 characters don’t really tally? Haha, I don’t know. But overall, I am impressed and satisfied with BA. I took a half day leave (sniffs) just to attend my 1st session, which had to be redeemed before the expiry date 20th Dec 2012. Do note that the expiry date does not mean that the voucher is deemed to be invalid after that, but simply means that your redemption and 1st session must be redeemed before 20th Dec, a 6 mths validity after you had bought the voucher. The interval between each session is 2 months, as I was told that this would well, increase it’s effectiveness. So here’s my experience with BA in detail. After filling up the form and signing the undertaking agreement, I was brought to a room with the usual bed and was asked to remove my top and wrap myself with a towel like tube dress. Then the specialist started to shave my underarms a little more though it was already shaven. After that, she tested the treatment on my left underarm and drew some red markings on it. My eyes were covered with a piece of tissue with googles over it. I guess the light is harmful to the eyes. The sound of the machine scared me a little but when she zapped, it felt like just tiny ants bites, still tolerable. After the testing went well, she proceed with full swing on both underarms. On a side note, during the treatment, there was alot of drilling going on in the other unit next door and I heard the specialists complaining about it outside during the wait in the room. Guess BA can’t be blamed for that right? Haha! I was informed that the level of pain actually varies from individuals and those with thicker hair would hurt a little more. She zapped twice on each underarm and I was then given some cooling pads for me to hold under my underarms. Total time taken was less than an hour, rather fast actually. This entry was posted in Bare Aesthetics, Hair removal, Uncategorized, Underarm Hair Removal and tagged Bare Aesthetics, Beauty, Hair Removal, Intense Pulsed Light, IPL, Underarm Hair Removal. This idea of blogging on reviews popped into my head recently, only because I was frantically searching for reviews on a certain service for Intense Pulsed Light Treatment for hair removal, and more specifically for underarm hair removal. However, I could not find any review except for 1 pathetic 1 from some girl’s blog but she blogged on behalf of her bf who did an upperlip hair removal with this beauty salon. Not very useful for someone who wants more info on this newly opened beauty salon on the specific service they provide. Without further ado, I went ahead to purchase my Groupon voucher for this treatment (I know, groupon, online deals etc somehow spark off skepticism, especially for someone like me who is generally skeptical and cynical). 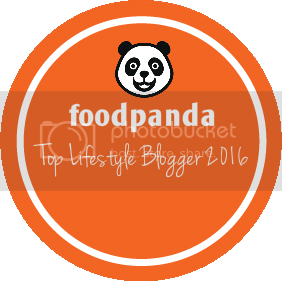 This entry was posted in Uncategorized and tagged First entry, Hello, Welcome.